The Sweltzer Creek Campground was first opened for business in the 1980’s. After substantial flooding in 1990, the number of sites was dramatically reduced. In 2007, Stό:lō Community Futures provided the Sweltzer Creek Campground with a loan to renovate and upgrade the washrooms. Significant improvements were made to the facilities to enhance the camping experience for our customers. Along with the renovations, the number of sites was expanded to accommodate more campers. Over the years, the campground has provided employment opportunities to many of our community members, especially the youth, delivering hands on training and work experience. The campground business has prospered and gained recognition, especially since the renovations. 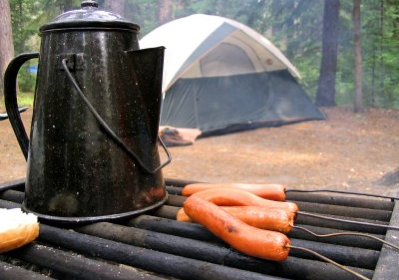 The Sweltzer Creek Campground is located in beautiful Cultus Lake, BC. Nestled alongside the Sweltzer Creek, the campground offers 54 private, spacious sites, as well as 2 group sites. The campground features clean, fully equipped washrooms, a playground, RV sites, tenting sites, and 4 serviced sites. The campground is close to the local amenities that Cultus Lake has to offer, yet is a serene escape from the crowds and traffic. The campground is First Nations owned and operated and caters to families and couples. Customers return year after year to enjoy the peaceful setting, comfortable facilities and friendly service. If you haven’t experienced the wonderments of the Sweltzer Creek Campground, make this the year to visit us!